Parking: Free parking lots available across the street and also in back of the restaurant, down the adjoining alley. 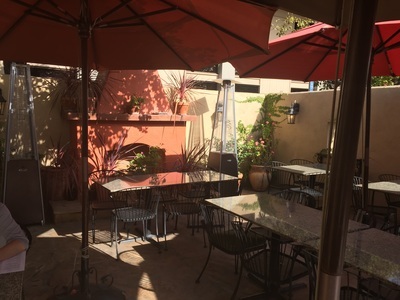 Description: This restaurant has friendly staff, authentic Mexican dishes, huge portions and great prices. 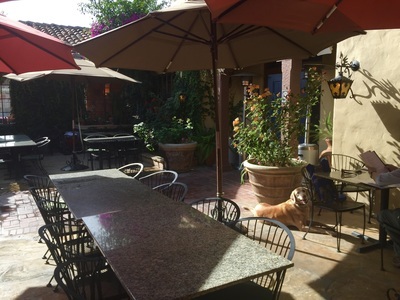 They have an extensive menu featuring breakfast, brunch, lunch and dinner items. 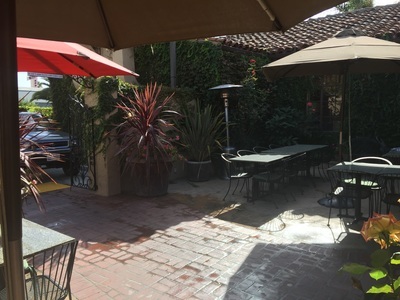 Their outdoor covered patio is beautiful, and reminds me of a garden. 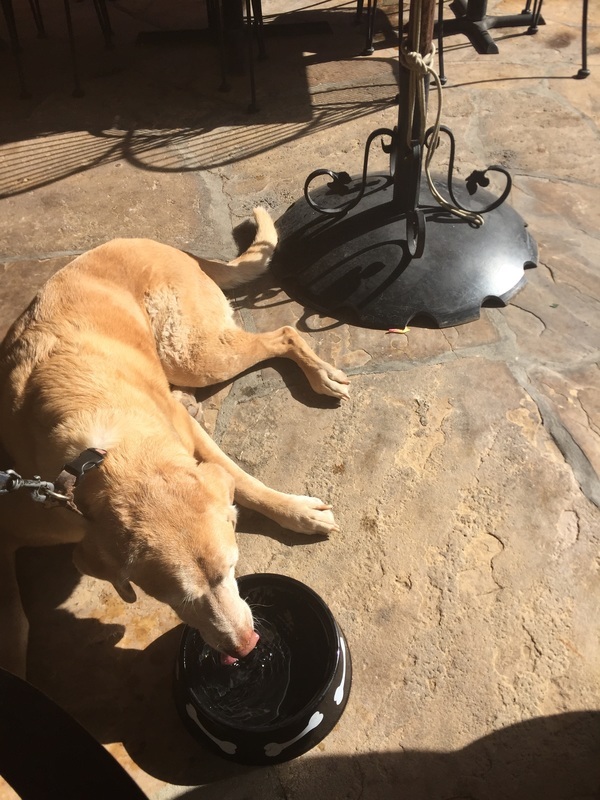 The staff is very friendly, and even brought my dog a bowl of water before serving anyone. As soon as you sit down they bring you chips with a small pitcher of salsa so you can refill your salsa bowl if you run out. 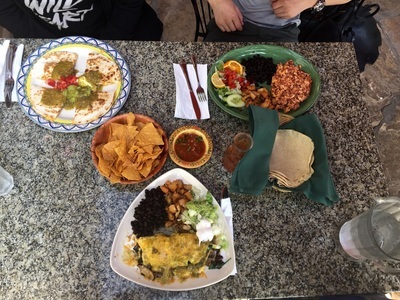 Pictured below are our dishes: I had the Omelete con Champiñones which was a large three-egg omelette stuffed with portabello mushrooms, zucchini, and pasilla chiles, topped with cheese. It was served with black beans, potatoes, lettuce, sour cream, guacamole and three tortillas. For $11 I was able to take home half for dinner. One of my friends had the Huevos con Chorizo, which was served with black beans, salsa, potatoes and three tortillas ($10.95). My other friend had a Quesadilla de Jalisco with grilled chicken, which was topped with salsa, sour cream and salsa verde ($12.95). It's a bonus that they have 2 free parking lots, as parking can be difficult in this downtown area. We all agreed that we were impressed with the food, service and atmosphere. This is a great place to stop after a hike at Mt. Madonna or Bryne-Milliron Forest.